"I'd like to think that in the long run this exclusion doesn't matter, since, well, only a few people read The Comics Journal anymore, and thousands of people read Tumblr and the web where people who are not white men are able to put their work on display without fear of "gender-blind" gatekeepers. It's definitely a world without gatekeepers anymore, thank God, and I'd rather have the tyranny of crowd sourcing than the tyranny of patronizing, patriarchal privilege; a privilege oblivious to its own sheltered viewpoint." "But heed me well, young women of Tumblr, this is how women get forgotten and marginalized. They get left out of history. Over and over and over, and have to prove over and over and over that they belong in the discussion." Which brings us to Trina Robbins. Robbins was a pioneer in the underground comix scene from the late 60’s into the 80’s, before retiring from drawing sometime (I believe) in the 90’s to concentrate on scripting for titles such as Honey West and Wonder Woman (the latter of which she had actually drawn for in the late 80’s in collaboration with writer Kurt Busiek), and writing nonfiction books. She’s devoted much of her time to researching and publishing books that celebrate and chronicle the work of women cartoonists who have been perpetually underrated, ignored, or forgotten by the male-dominated comics press. Her titles include A Century of Women Cartoonists (Kitchen Sink, 1993), The Great Women Superheroes (Kitchen Sink, 1997), From Girls to Grrlz: A History of Women’s Comics from Teens to Zines (Chronicle, 1999), and Great Women Cartoonists (Watson-Guptil, 2001). I love that Robbins didn’t stop after just one book, perhaps intuiting that a single volume would likely generate little long-term impact. I think she has long understood that women need to "prove over and over and over” that their works “belong in the discussion.” Robbins’ own experiences of exclusion and sexism in the early days of the undergrounds led to her co-found Wimmen’s Comix in 1972, a comics anthology that lasted for 20 years and 17 issues. 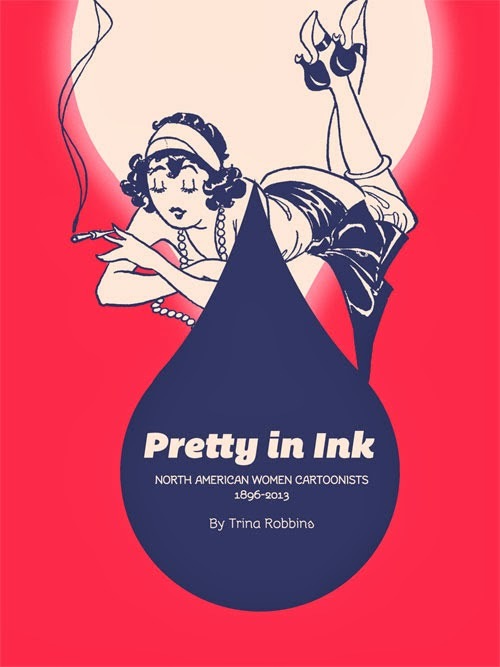 This latest tome by Robbins, Pretty in Ink, is fun, informative, and lavishly illustrated with several very rare pages of art. It features a tidy rundown on the careers of some of the most important foremothers in the biz, from the late 19th century’s Rose O’Neill to the early 20th century creators like Lilly Renée, the fabulous Tarpé Mills (creator of Miss Fury), Dale “Brenda Starr” Messick, not to mention Jackie Ormes, widely-acknowledged as the first African American female cartoonist. The final chapters of Ink feature brief takes on creators from the second half of the century and into the new millennium: mainstream creators like Marie Severin and Ramona Fradon, and alt-comics mainstays like Roberta Gregory, Phoebe Gloeckner, Carol Tyler, Alison Bechdel, Megan Kelso, Leela Corman, Marjane Satrapi, MariNaomi, Minty Lewis, Lark Pien, and many others. Trina’s books have been criticized in some quarters for being less than comprehensive, offering cursory rather than in-depth histories. 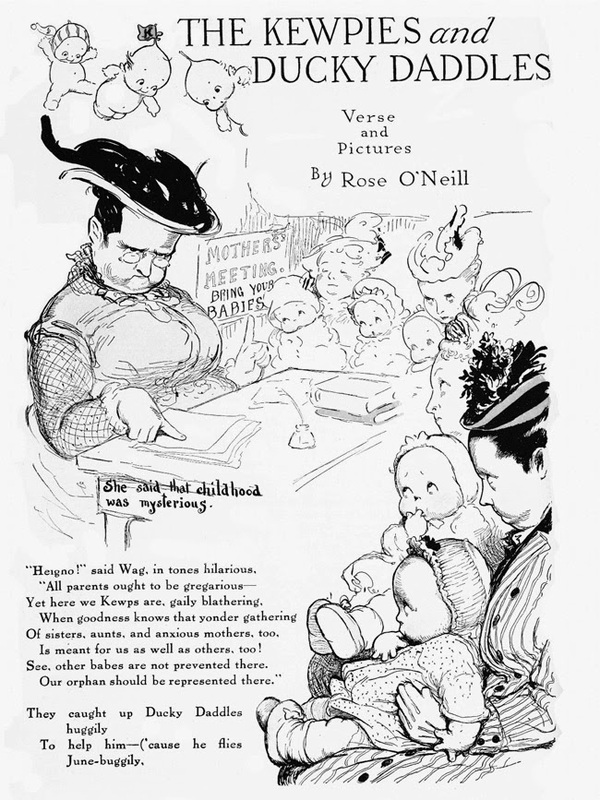 My take is that she celebrates and highlights the contributions of these women in visually appealing, bite-sized pieces to depict the broader history and trajectory of women cartoonists (and how they reflect the advances and setbacks of women in the general culture). In doing so, she lays the groundwork for future historians and academics to offer up more in-depth coverage of individual creators. After all, creating a comprehensive body of literature on the history of women cartoonists cannot and should not be the work of one woman. At the close of Pretty in Ink Robbins takes the time to laud a few writers such as Susan E. Kirtley, author of Lynda Barry: Girlhood Through the Looking Glass (University Press of Mississippi, 2012) and Lynne M. Thomas and Sigrid Ellis, authors of Chicks Dig Comics: A Celebration of Comics by the Women Who Love Them (Mad Norwegian Press, 2012) for “finally stepping up to the plate.” Robbins herself has stepped up many times and deserves praise for her efforts. I’m glad to have read this book and to have learned more important comics history, a history that continues to reverberate for women in comics today, as they continue to add to the canon.